Free and cheap activities in Christchurch. Christchurch is a must-visit destination when backpacking in New Zealand, there’s no doubt about it. With heaps of work opportunities for people on a working holiday visa, as well as artwork, gardens, beaches and lots more attractions throughout the city, most backpackers want to spend some time here. To help stick to your backpacker budget, we’ve put together this list of free things to do in Christchurch. With a wealth of jobs, it can be an ideal place to spend some time on a working holiday. There are plenty of fun and interesting ways to spend time here without spending too much of your hard-earned cash. Learn about the real impact of the 2010 and 2011 earthquakes and see for yourself how the city is reviving. For more information on the South Island’s largest city, take a look at Christchurch City – Guide for Backpackers. From arts and crafts to jams and jewellery, Christchurch hosts markets across the city all year round. Checking out the stalls while often listening to live music sure beats your supermarket shop. Check out the Christchurch’s Farmers Market at Riccarton House & Bush every Saturday 9am-1pm. For more markets, see our Cheap Eats in Christchurch. Find out why they call Christchurch “The Garden City”. It seems like every time you walk through the gardens, there’s something new to discover. If grand water fountains are your thing – we don’t know if it’s anyone’s “thing” but this one is pretty cool – then you’ll love the restored peacock fountain found in Christchurch’s Botanic Gardens. Walking though the adjacent park and garden is a pretty and easygoing walk to take when hanging out with backpacking buddies. Location: Just off Rolleston Avenue, Christchurch Central. A walk through Botanic Gardens will lead you to Canterbury Museum – the token attraction to visit if you are on a budget (or have no money at all as it is free). Learn about NZ history, art and the natural world. This museum gives visitors a deeper understanding of Christchurch’s recent history of the Canterbury Earthquakes. We recommend visiting Quake City early in your visit to Christchurch in order to put things into perspective. Who needs to pay for a gondola up the Port Hills when you have two working legs (and a tight wallet)? Remarkable views of Christchurch can be enjoyed from the Bridle Path walk, which is 3 hours return. The Bridle Path Walk starts just below the gondola. To get there without a car, Metro Bus number 28 takes you from Central Station to the Gondola base and through to Lyttelton. A NZ$25 return ferry will take you to Quail Island: where sights include shipwrecks and, errr, former leperacy colony and quarantine station. Not forgetting all the stunning beaches and bushwalks, of course! Location: take the Ferry from Lyttleton Harbour. 8. Check out Brockworth Street Art Gallery. Not like your average art gallery, Brockworth Street is an art gallery where brick walls are the canvas. This is just a taste of the the amount of awesome street art there is to see in Christchurch. Generally running Wednesday to Saturday nights, The Darkroom on St Asaph Street puts on free live music. If you’re around on the first Monday of the month, The Darkroom hosts a magic night with hypnotists, magicians and comedians. 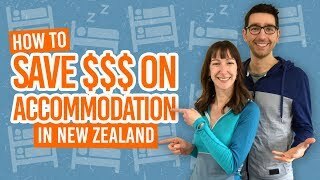 Admission to the magic nights is NZ$10. As a memorial to those who lost their lives in the Canterbury Earthquakes, here are 185 empty white chairs covering 185 square metres of lawn. It makes for an interesting memorial worth checking out. Take a bus or drive out to Sumner Beach, one of Christchurch’s suburbs. Stroll on the beach and delve into the caves and archways. Look out for interesting wildlife along the way too! It’s also a great place to grab fish and chips – the proper Kiwi way! Perhaps this only appeals to a certain taste, but why not see a range of awesome planes for free?! Check out the Air Force Museum of New Zealand right here in Christchurch. 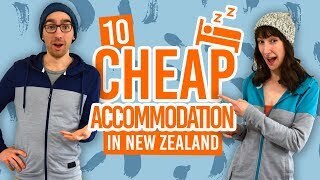 They also offers heaps of activities for under NZ$10. Every city has their set of eateries that won’t break the bank. Christchurch is just the same with cuisine from all over the world! Check out Sullivans Irish Pub for their famous burger and pint for NZ$20! Or, get more inspiration in our Cheap Eats in Christchurch. 15. Grab a great deal on activities from our deals page! That’s right, we often have some amazing deals on activities in Christchurch for under NZ$20! Take a look at our exclusive Christchurch deals over on the BackpackerGuide.NZ DEALS tab.